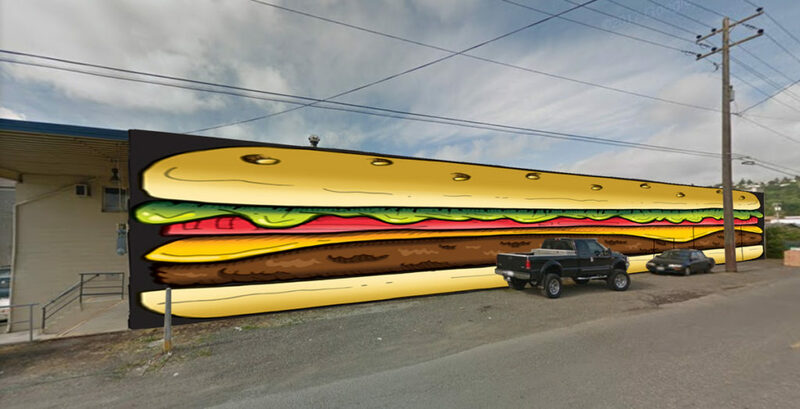 I want to do this mural so bad! 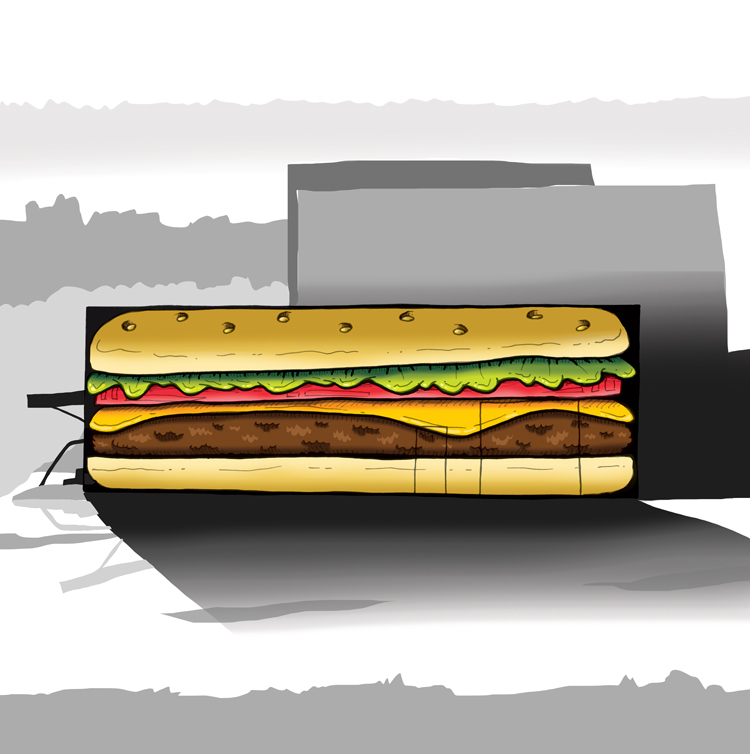 Contact me if you have a building begging to be a burger. Drawn with Prismacolor fine line markers, color added digitally in Photoshop.